This 5-hour class offers complete instruction for touring kayaking. 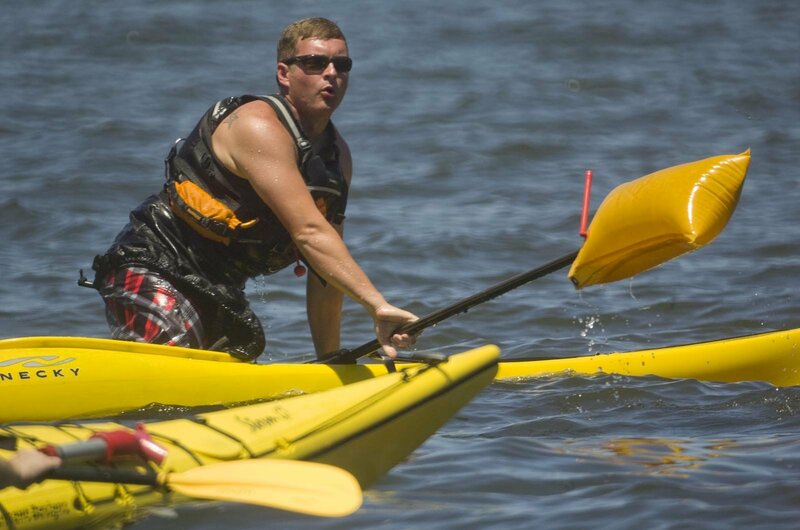 Taught in cockpit-style kayaks, the class begins with an on-land orientation on kayak equipment and technique. On the water, students begin with wet exits in a controlled area with the instructor. Paddlers then review and practice strokes including power, touring, sweeps, braces, and draws. Wet exits and safety skills are practiced including group and self-rescues. If time allows, a short paddle tour completes the class. The class fee includes appropriately outfitted cockpit kayaks and gear. Cockpit Kayak with front and rear flotation, paddle float, bilge pump, paddle and pfd. Students may use their own cockpit kayaks if they are outfitted with front and rear flotation. This is a comprehensive class covering touring kayaking skills from beginner to intermediate. No prior experience is necessary but some physical conditioning is recommended. There will be a short break for lunch, so bring a packed lunch or snacks are available for purchase at Shank's Mare. Shank's Mare instructors have years of experience introducing and teaching participants on touring kayak skills.